Expanding on Weun Academy’s first book! Progress continues on my latest novel, Weun Academy! As I’ve mentioned before, the new manuscript sits around the 160 page mark, which I predict is about one-third of the completed book. It’s been at that number of a while now. Around the 2016 winter holidays that started to worry me. I kept wondering why I couldn’t progress on the main story. After all, it’s not like I don’t know what the story is about. But the inspiration and drive to sit and write just wasn’t there. I’m wondered, like I’m sure many other writers do at some point, if I had hit “that wall,” the one you’ll never get past. But here’s the thing, I honestly love looking into what’s happening in the D’mok Universe. When I sit to write, I get a streaming view directly into my mind about what’s going on there. I truly enjoy it, and wanted to experience that again. Inspiration is a funny thing, it ebbs and flows as it wants to. I know I’m making it sound like it’s alive, as if it has a will of its own. But you know what? Sometimes it feels exactly like that. It tells me what it wants, when it wants, with however much detail, and for however long as it wants to. It also tells me when it’s not ready to show me something. I just “had that feeling” that it wasn’t time to write more. So, I do what I always do when this happens, I sat back and enjoyed life. Creativity, for me, comes from living life. My friends, my triumphs, my failures, my fears, all somehow feed the well from which the D’mok Revival universe springs. A wonderful wedding happened, the election happened, the aftermath of the election happened, Thanksgiving, Christmas and a magical new year happened, and low-and-behold, so did inspiration! Between the New Year and Donald Trumps innuguration I wrote 14 short segments about various aspects of Weun Academy. This is very similar to what happened when I began writing D’mok Revival so many years ago. I’d get snippets of information, background stories, glimpses into the lives of specific characters in situations that have nothing to do with the main story but help me understand who they are. And NOW–now it’s time to integrate this into the existing manuscript. “It” tells me once that’s done I’ll get the next part of the story. So be it. I’ve worked on integration all day. 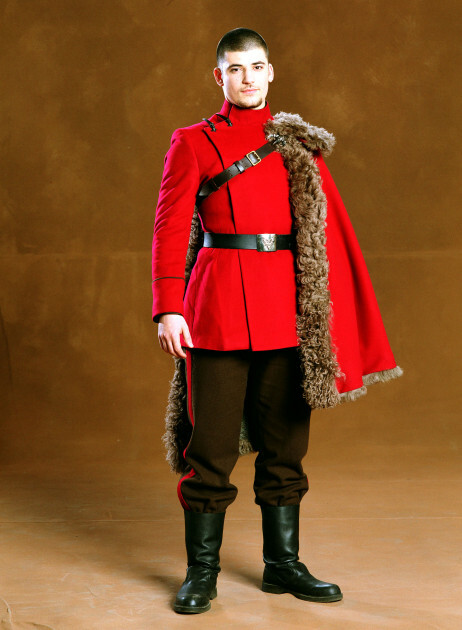 One of the things that jumped out was the need to more clearly describe the uniforms used at the academy. I took the time to sketch out designs and scour the internet for things that matched. I’m happy to report, I’ve pulled together exactly what I had in my head! I found components of these drawings on the internet, created additional assets, then pulled them together to create what you’re seeing. Final versions will be developed. I’ve attached the images below. 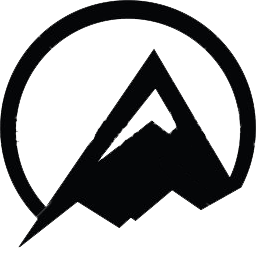 The first is the ability category (“Discipline”) pin for “The World,” represented by a mountain. The second is the student jumper. This is worn while on campus grounds and during all training sessions. 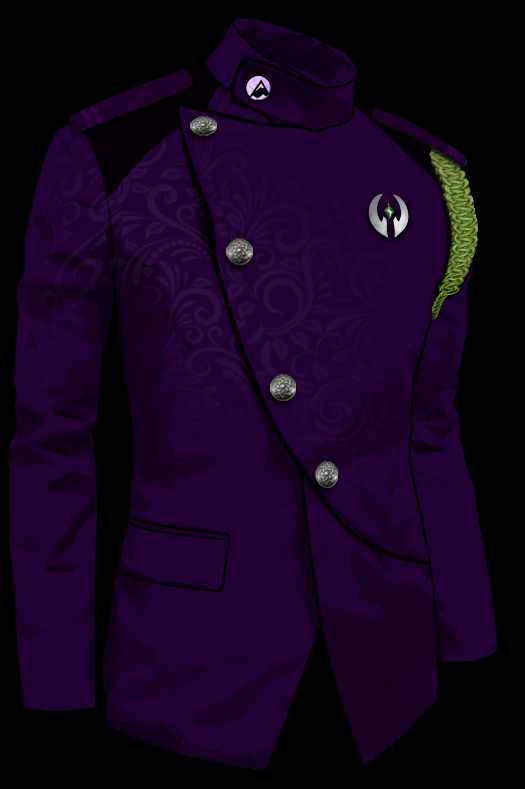 The specialized shirt is really the most customized part of the outfit sporting black outer edges on the arms and shoulders, purple main section and lighter purple stripes, and raised collar. On the collar shows the ability category (“Discipline”) pin, and on the chest, Weun Academy’s emblem. 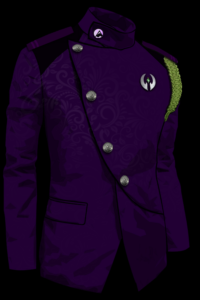 Third is the formal (or “Dress”) jacket. I’m especially proud of this jacket design. One of the things I try to keep in mind as I go along is whatever readers encounter I want them to be able to recreate in the “real world.” It could be food mentioned in the cafeteria, learning games from classrooms, or outfits characters wear. I believe the above designs are very accessible, where cosplayers could make them happen. A dear friend of mine, Kathleen Jenks-Grobben, mentioned how Victor Krum’s outfit in Harry Potter has a unique angled part to his jacket and people have been able to recreate it. That actually made me feel much better. I DO love the angled section and want to keep it. Anyway, with these designs I can continue the integration of the other holiday items. Specifically, the introduction of a new character, Kira Madaki. It might be fun to do future posts introducing some of the Weun Academy characters (non-main story items)… Hum. We shall see! As a side note, for anything found on the Internet that wasn’t explicitly mine, I DO have contact information for the original creators and will reach out to them as appropriate. I believe in people getting credit for the things they create!